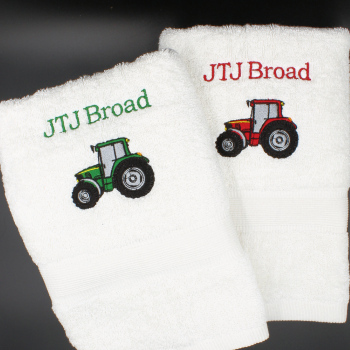 This hand towel is made in a handy 90x40cm size, ideal for a bathroom, guest room or gym. Made from 550gsm ringspun terry cotton. Please enter in the option box the exact name or wording you would like embroidered and choose the thread colour and font style you want. We make the motif coordinate with the name colour you select.